Depeche Mode has to be one of my favorite bands, if not overall, my favorite band period. Their last 12 albums have been collectively played thousands of times since 1985 when I first heard “People Are People” on my birthday while traveling on the 405 in Los Angeles. I’ve seen them live 9 times over the years and each concert has been memorable and highly anticipated. I’ve owned most of their albums on vinyl, cassette and CD – with the exception of their last album “Sounds Of The Universe” which I only have purchased digitally. All albums have a place on my iDevices and not a day goes by that I don’t hear at least a song of theirs. So when their 13th album was announced earlier this year, I anticipated the day it would be released so I could hear it. Over a week ago, iTunes decided to stream the album in full for free. I took this opportunity to listen to this album as much as I could. What follows are my thoughts on each track of this new album. There is a deluxe version of the album that has 4 additional songs, which I have not heard [but will this week once I get the album on CD]. – Not the strongest opening track for a DM album, but it’s got some parts that mix well. In fact, this is one of the darkest DM songs I’ve heard in years. The harmonizing is one of the strongest parts of this track. – Even darker than the previous track. Lyrically all over the place. Dave’s attempts at the spoken word put to music tends to work here, for the most part. This one needed a good 5 listens before it started to take hold. I like the beat once it reaches the halfway mark. – The lead single that has had hundreds of mixed reviews when it was first released many weeks ago. It has a way of catching on, but not their best lead off track. The piano is the best part of the track and after many listens, I have to say Dave’s vocals are good, but he’s done better. – Vocals and synths are heavy and really great. The harmonizing on this track excels at many levels. I like this track a lot. Seven listens in, it really took hold. The chorus of “Should have been you” repeats and doesn’t get old. And the consistent synth goes all the way to the end of the track. – A quiet track with that thrown-in toned-down synth sound. Not sure this has a previous DM song to compare it to, which can be a good thing. Creative mixing. Nothing major going on here. Just a simple song of sounds. – This is one of those Martin Gore-on-guitar blues show-off songs. Dave’s vocals are very psychedelic, which actually are a perfect match for this sultry song. It’s easy to listen to and not really as slow as a few other songs on this album. Reminds me of “Sweetest Perfection” from the Violator album. – The first track on this album that goes back and borrows the “Black Celebration” dark sound and mix. Very evident throughout the entire song. It grabbed me each and every time I played it. It’s weaker than that classic title track, but for some reason, I didn’t want to mark that against this song. Dave’s dark and brooding barritone is perfect in all ways. Another favorite of mine after 8 listens. – Easily the weakest song on the album. Yes, it’s Martin on vocals and his range is always great, but just a weak track overall. Hard to listen to, even if I’m trying to find a brilliant part here. I lose interest really quick on this song. I admit to skipping this track more often than not. – This song has a “Question Of Time” feel to it on many levels. I like this song a lot. Dave’s vocals are very good as he switches back and forth on the dual chorus title. Easily my favorite so far on this new album. I have played this song more than any other on the album and I don’t tire of it one bit. – Dave’s vocals here blend well with the background vocals from Martin. Parts of the chorus have me thinking the vocal reach is similar to that of Simon LeBon [of Duran Duran fame]. The musical flow is good and catchy and there’s a consistent flow that plays well multiple times. – Very tame song. Mostly Dave on vocals, and subdued at that. Slower than I would prefer, but a decent song. Not one that I look forward to hearing, but also not one that I’m likely to skip either. – Very familiar start to this song. Went and listend to “Personal Jesus” and realized I had heard this type of blues-infused construction before. While “Personal Jesus” is a very strong song and much more liked, this one is growing on me. A lot. It’s got a good beat, and I like the mix of synths and vocals, giving a nice range of round about between Martin and Dave. Easily one I look forward to hearing. 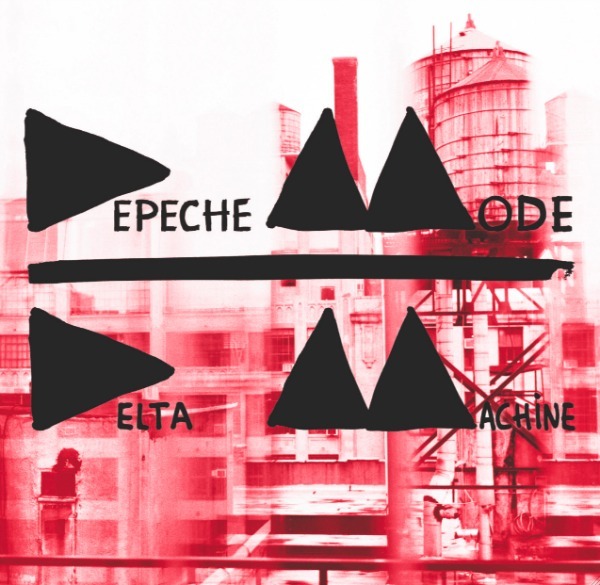 – The final track of a Depeche Mode album has always been one that properly closes the album with that final bit of darkness. The title is appropriately named and it does have that terminating mix of sounds, similar to songs like “Goodnight Lovers” and “The Darkest Star” but missing the mark when compared to “But Not Tonight”, “Blasphemous Rumours” and “Clean” which have had years to cement themselves as appropriate album closers. After about 20 listens, this album is growing on me and I do like it. I mean, why would I not like it. It’s Depeche Mode and even some of their least likable tracks can have parts to them that tend to find their way of repeating in your head. But with that said, this album does pale when compared to the last two albums 2009’s “Sounds Of The Universe” and 2005’s “Playing The Angel”. Those two releases were easily liked without having to try to like them. And that makes me a bit sad that I’m trying to like a Depeche Mode album. But this album is newer, they are trying a few different things. Their sound is still them, but there’s something more experimental going on with this release that is taking longer to grab a hold of me. My biggest wish is for Alan Wilder to come back to the band. While that may never happen, and not to discount the live experience of Peter Gordeno efforts behind the synth [and Christian Eigner on the drum kit], since after the release of “Sounds Of Faith and Devotion”, he’s been missed. But as with all things modern, music moves forward. And this long time alternative favorite is showing this in a big way on “Delta Machine”. Anyone else out there have a chance to hear this new album? What do you think so far? Do you need more time for it to sink in? Any comparisons to previous albums? As a massively huge DM fan, I don’t care for this album at all. I hope it grows on me, but I doubt it will ever grab me like their past work has. I loved… LOVED… absolutely everything up to but excluding “Exciter” (which I hated). Then the band came back with “Playing the Angel” and “Sounds of the Universe” and totally redeemed themselves. Now I don’t know what to think. This is not the Depeche Mode I signed up for. I’m going to let the album sink in this week and then I’ll comment again with my full thoughts on Friday. I still have to listen to this but I must it worries me that it took you 20 listens to get into it.